The warm weather will be back before you know it! These easy-to-make DIY firepit ideas are here to make your summer the best one ever: whether you want to cook your food over an open fire or just snuggle up while you drink some beers, these simple projects will make a great addition to your yard. Round or square, stone or concrete blocks, no matter what your style there is a tutorial on this list that you are sure to love. There is even a tutorial on how to make a tabletop firepit to keep you warm and toasty when you do not have much outdoor space. 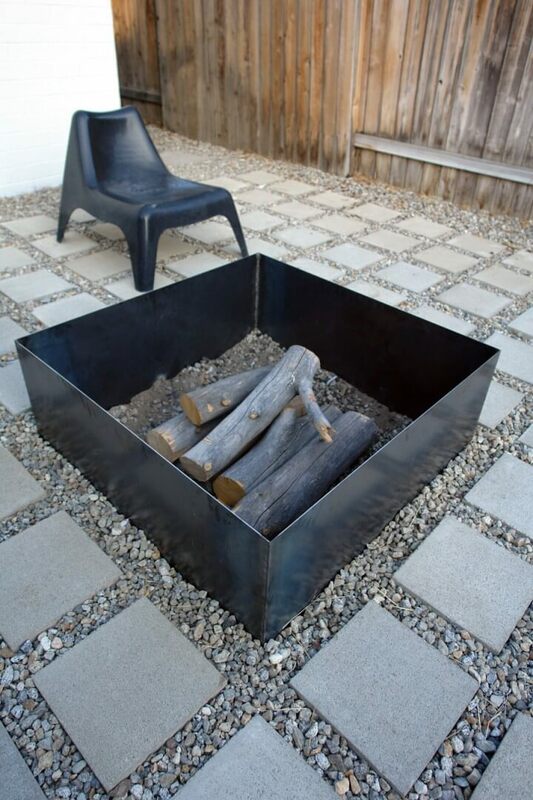 Many of these DIY firepits are also budget friendly so anyone can add some warmth to their yard! If you love repurposing old objects, there are even some DIY firepit designs on this list for you. 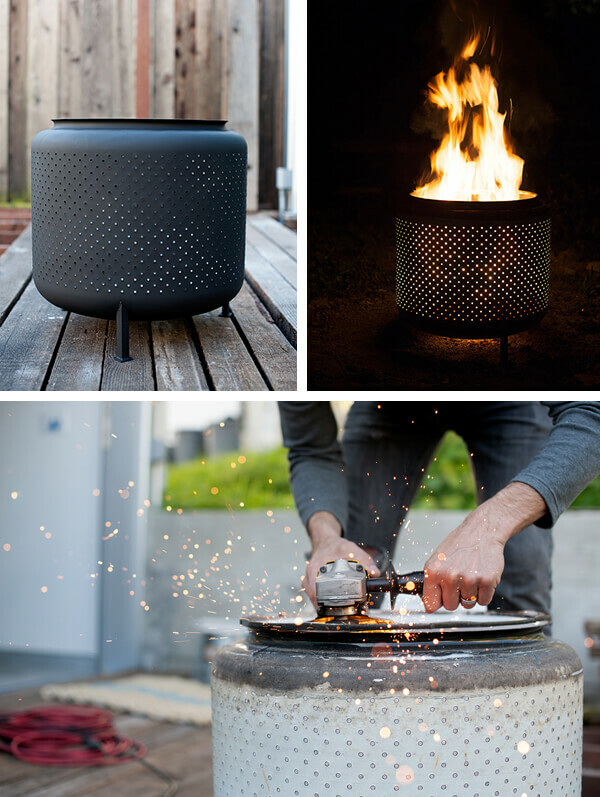 Who knew you could create a firepit out of an old washing machine drum or a wheel? If you do not want to do a lot of building, try one of the inground firepits. Read on for shopping lists and tutorials for all 27 awesome DIY firepit ideas. Stone fire pits look incredibly neat and go with almost any kind of home decor. They are incredibly easy to make and are the perfect way to utilize your backyard space. 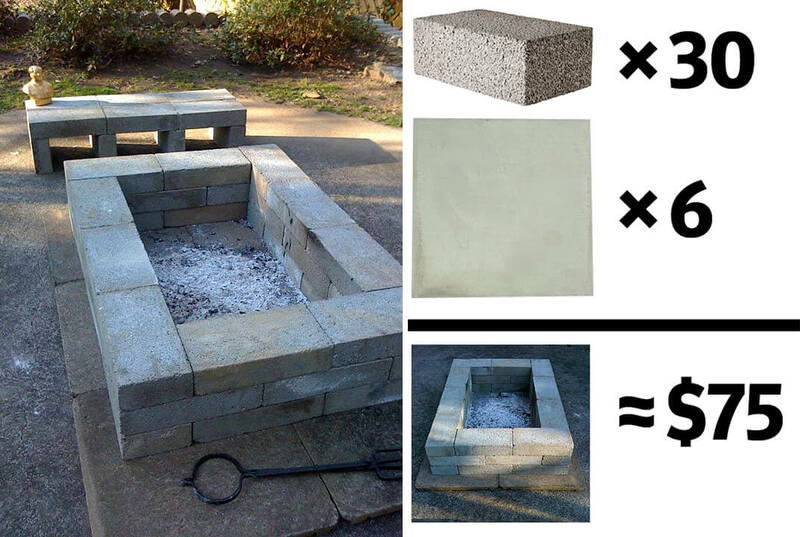 All you need to make this fire pit is stone bricks, some heavy duty glue or cement. Simply outline the area that you want to cover and work along that. If you want to make a circularly shaped fire pit, you can do so using the same technique that we mentioned in the previous example. All you need to do is make the outlined area that you are using smaller and circular. Make sure that all your bricks are placed correctly in place to avoid it from falling apart. 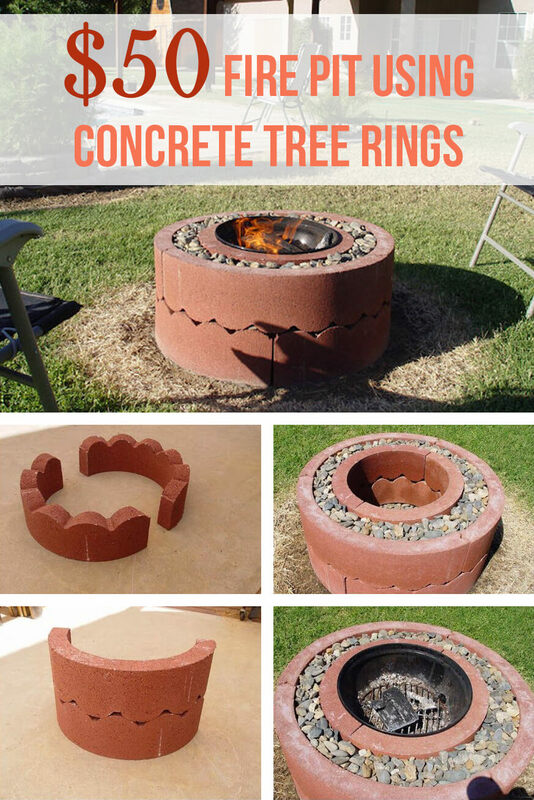 Concrete tree rings make for a brilliant fire pit. Stack two or more tree rings on top of each other. Make a smaller circle using smaller concrete rings on the inside. You can place some stones or pebbles in between the two rings to make it look nicer and to give it a good finishing touch. 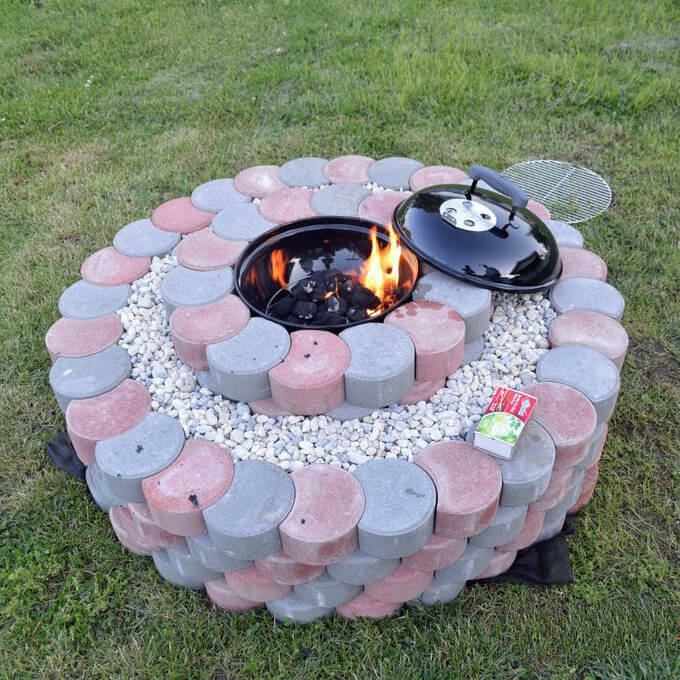 If you have an old washing machine at home or a washing machine drum that isn’t being used, you can easily turn that into a nifty little fire pit. 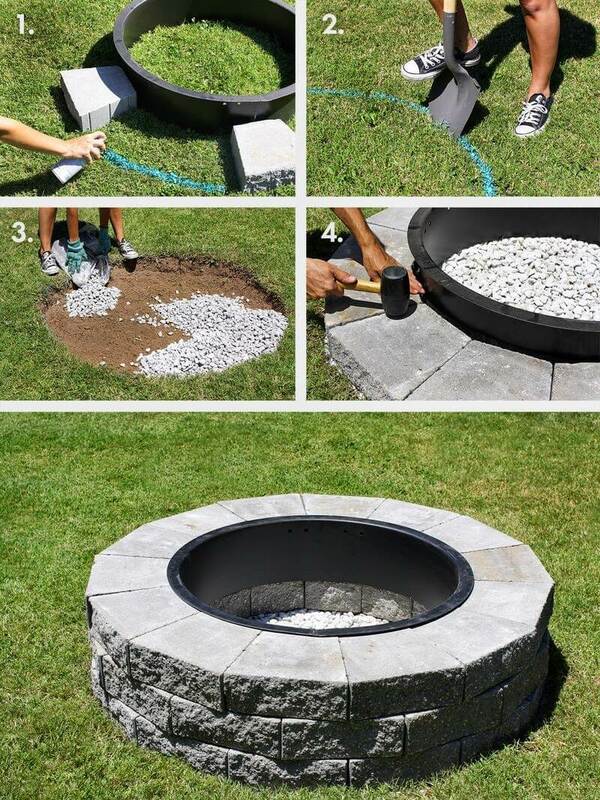 You may need to do a few tweaks before you can use this as your fire pit, which is incredibly easy to do and don’t take up that much time. You can create a simple three-tier fire pit at an incredibly cheap cost if you know what to do. Make a circle out of concrete blocks, and cover the inner base entirely. Stack the blocks up to three tiers and make sure that they are secured well so that they don’t fall over and you have a nice, simple fire pit ready for use! Base level firepits are incredibly classy and easy to make. They look like they have been professionally done, even though almost anyone can pull this off quickly. You will have to set the base of the pit slightly deeper into the ground, so make sure that your surface is sufficient enough to handle the depth. No one said that fire pits have to be dull and unappealing. 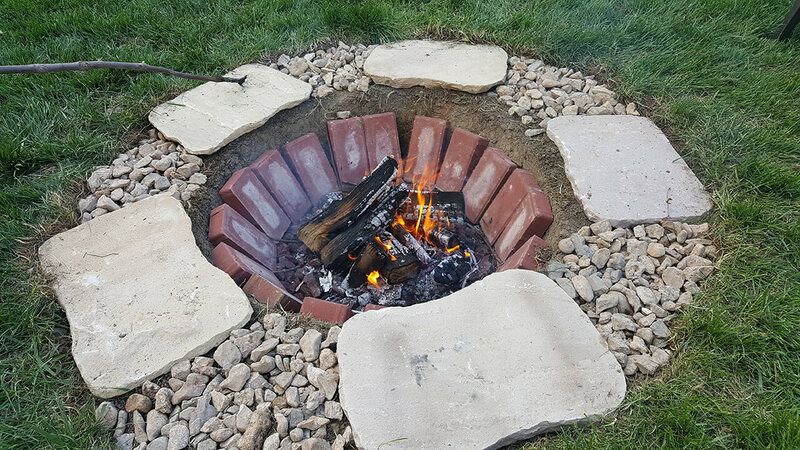 If done right, you can make a fire pit look more detailed, with just a few concrete blocks, and a little bit of creativity. The way the blocks are stacked in this one is an example of an innovative way to make your fire pit and to place your blocks. Square fire pits are just as good as circular fire pits. 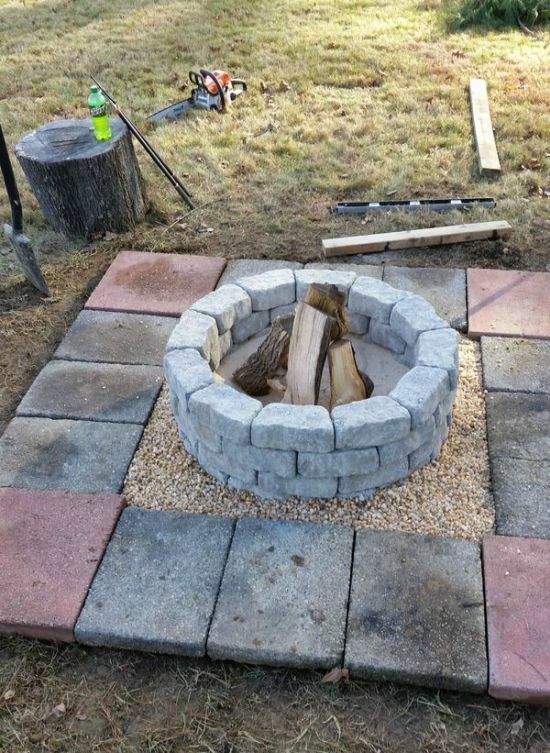 The technique to achieve a square fire pit instead of a circular one is the same, all you need is concrete blocks and concrete mix. You start by outlining the area that you want to work with and build your pit from there. Two or three tiers of blocks should be enough for a full pit. If you don’t want just a regular firepit and want something that can be the center of attention, try building a teardrop-shaped fire pit. You may need to pay a little attention to the blocks and their placement if you want to achieve the right shape. Be sure to check the measurements of the blocks and their placement before you set them in stone. 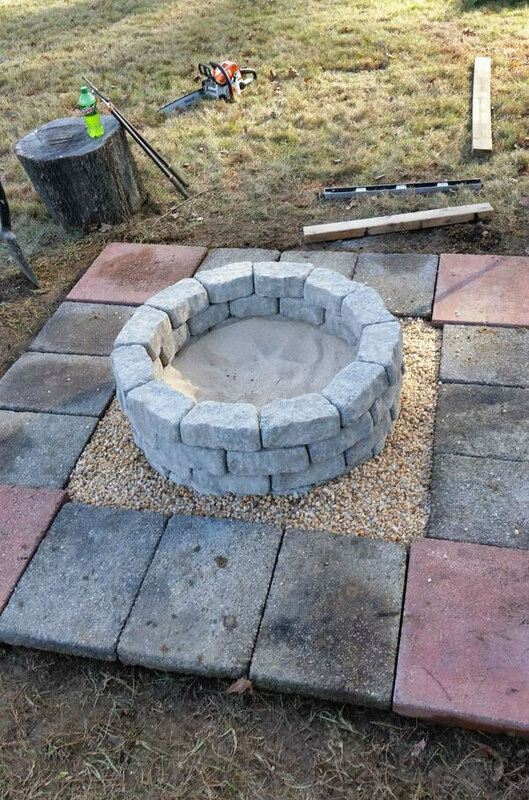 If you have a sandy or muddy ground that you want to convert into a place for a fire pit, all you need to do is dig a hole and place a few big stones around it. If you want to give your fire pit more height, you can also stack the rocks one on top of the other. You don’t need to use concrete to set these in place, though it would help if you want to keep this pit for a long time. Grass bases can also easily be converted into space for a firepit. 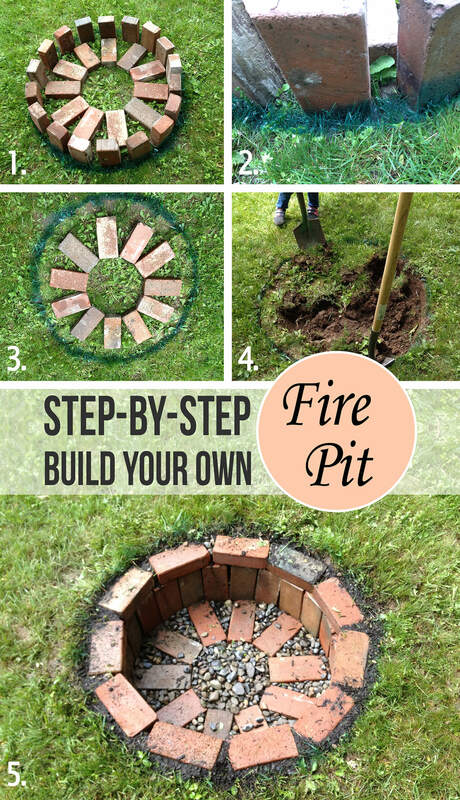 All you have to do is dig a hole in the ground according to the height that you want for your fire pit and place bricks at the base and around it in a circular form. Don’t forget to add some stones and pebbles to make it stay in place better. 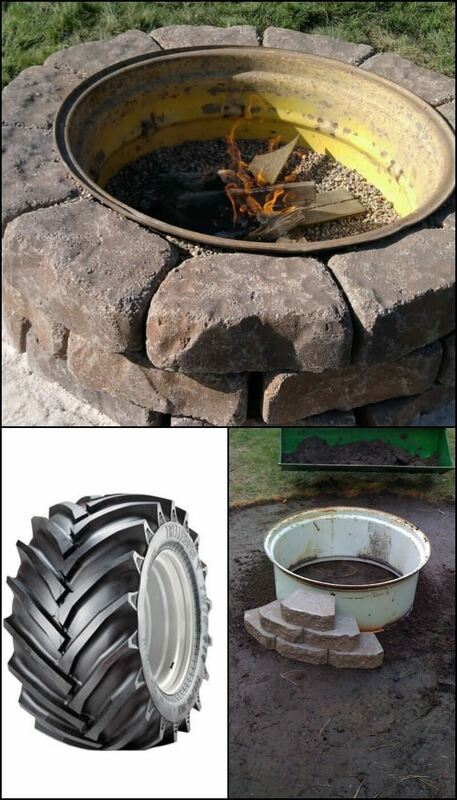 If you have a spare truck tire at home, you can use the inner portion as a base for your firepit. You, of course, need to remove the outer rubber part of the tire. Otherwise, you will get burnt tire fumes. Stack concrete slabs around the fire pit to make it look a little better and to cover the inner portion. If you want a more decorative fire pit, try using concrete blocks of two different colors. You can alternate them like the ones in the picture to get a more polished look. 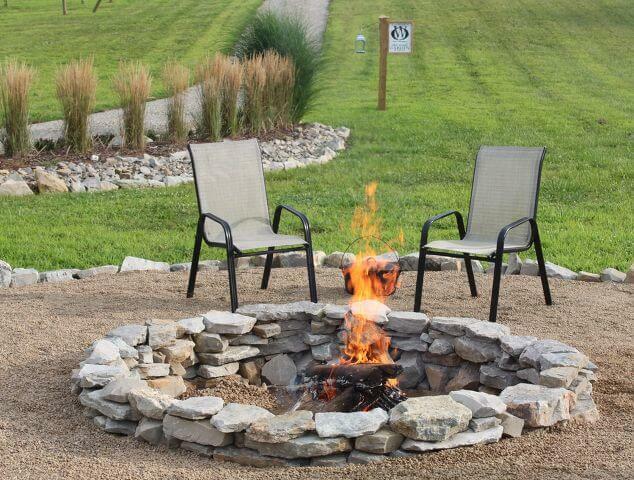 A two-tiered fire pit looks even better, especially if you add a few stones and pebbles in between the two circles. 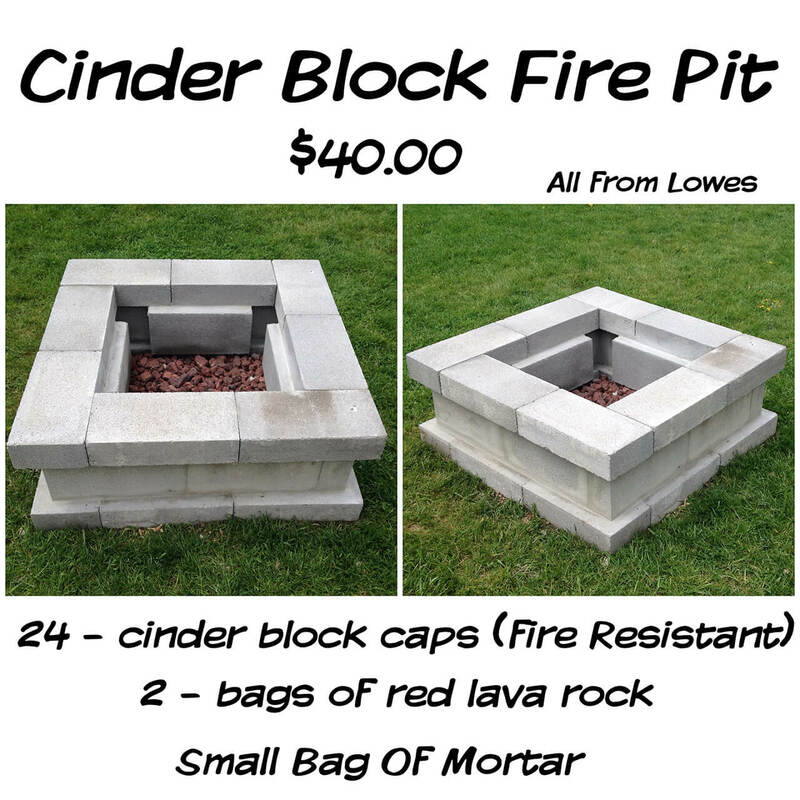 You can make an easy rectangular fire pit in under seventy-five dollars by simply using a couple of concrete slabs. If you want to make the entire area look more in sync with your fire pit, you can tile up the area around the pit and add a few benches and chairs around it. It will make a good spot for a nice backyard picnic! Fire Pits don’t always need to look rustic and concrete, and sometimes can look subtle and luxurious. This mini tabletop fire pit is bound to make you feel like you are sitting in the midst of absolute tranquility. With a base, a few pebbles and a glass cover, you can easily create this fire pit at home. In ground fire pits look good and are especially useful if you have a limited amount of space available at your disposal. This one is easy to do and requires a few bricks and stones, and a lot of digging. You can quickly create this as per your preferences and in whatever shape you like! Cinder blocks make for a good base for fire pits, especially if they are stacked one on top of the other. You need to make sure that your cinder blocks that you are using are fire resistant because if not, they can burn up and get damaged pretty easily. Fill up the structure with a few rocks and pebbles, and you are good to go! 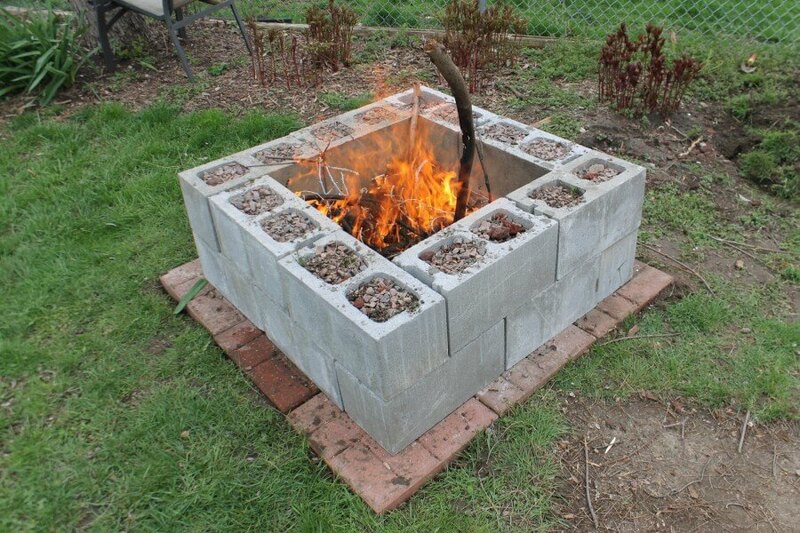 You can also create own concrete block fire pit using a few tools and materials. 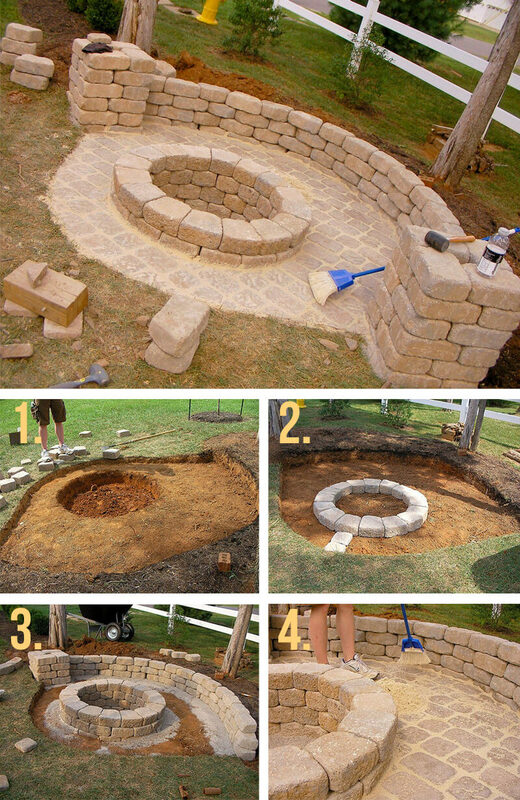 All you need to do is trace out the shape of the fire pit that you want to construct and go on from there. Stack up a few concrete blocks on top of each other and you will have a neat little fire pit ready for use. Fire pits don’t necessarily need to be small, and sometimes can extend out, depending on the amount of space that you have available. 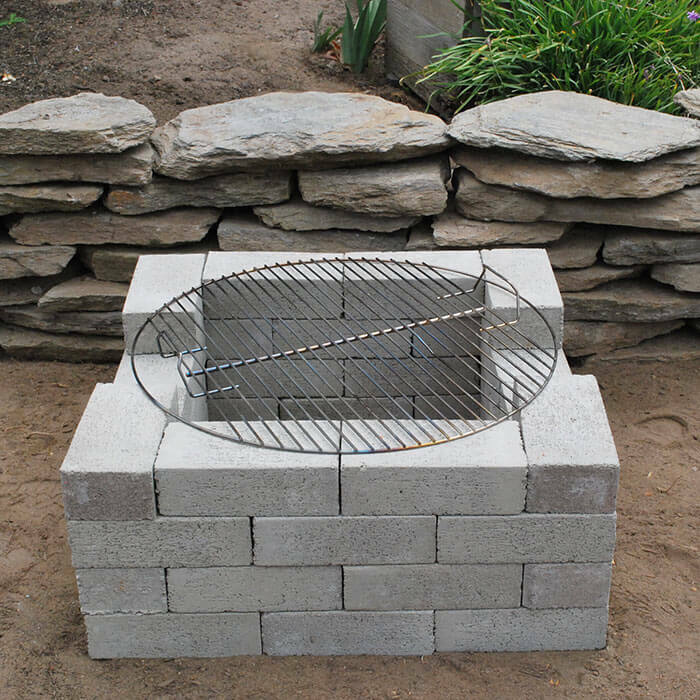 By using larger cinder blocks stacked on top of each other, you can quickly create a larger fire pit, which is great for those large family barbeque parties. 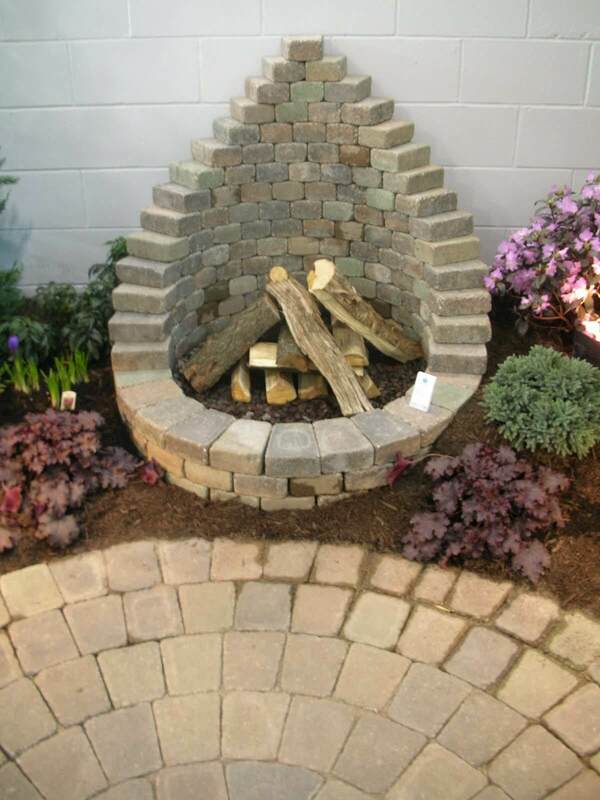 You can also create an in-ground fire pit using bricks and stones. All you need to do for this is dig a hole of the size of firepit that you want, and then place blocks around the edge to give the inside of the hole a proper base. After that is done, you can place concrete slabs and stones around the pit to make it look nicer. You don’t always need to use bricks and concrete to make a firepit. Sometimes, you can do so using pieces of metal. All you need to do is secure the metal sheets in a square and place mud inside the square, and around it as well. If you like, you can also use square tiles to make a base around the pit. You can create a fire pit with a base using stones in an incredibly simple way. You would, of course, need to shape the stones that you are using so that they fit properly with one another. Before you start your pit, mark the area that you want to cover, and tile it up. 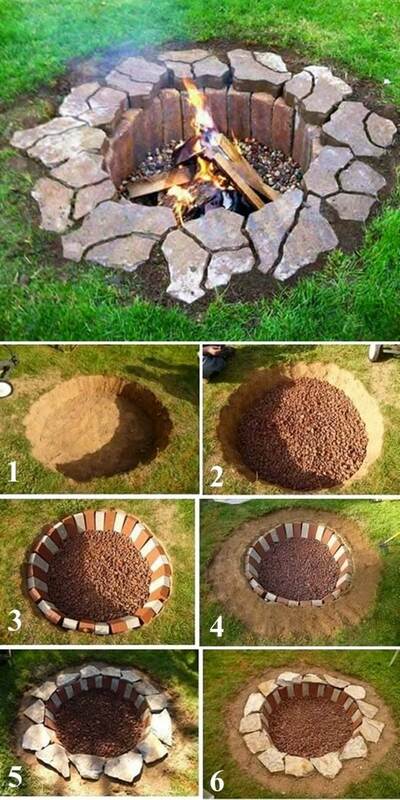 After that, you can build the circular structure for your pit. Another way to create a fire pit with an excellent base is to use stones and blocks. You can place the block on the ground to form the base. Be sure to leave a square potion in the middle where your fire pit will go. You can fill that area with smaller stones rather than leaving it bare. Cinder blocks that are hollow from the inside are also a good fit for a fire pit. You can stack them up on top of each other and then fill up the hollow portions with smaller stones and gravel. 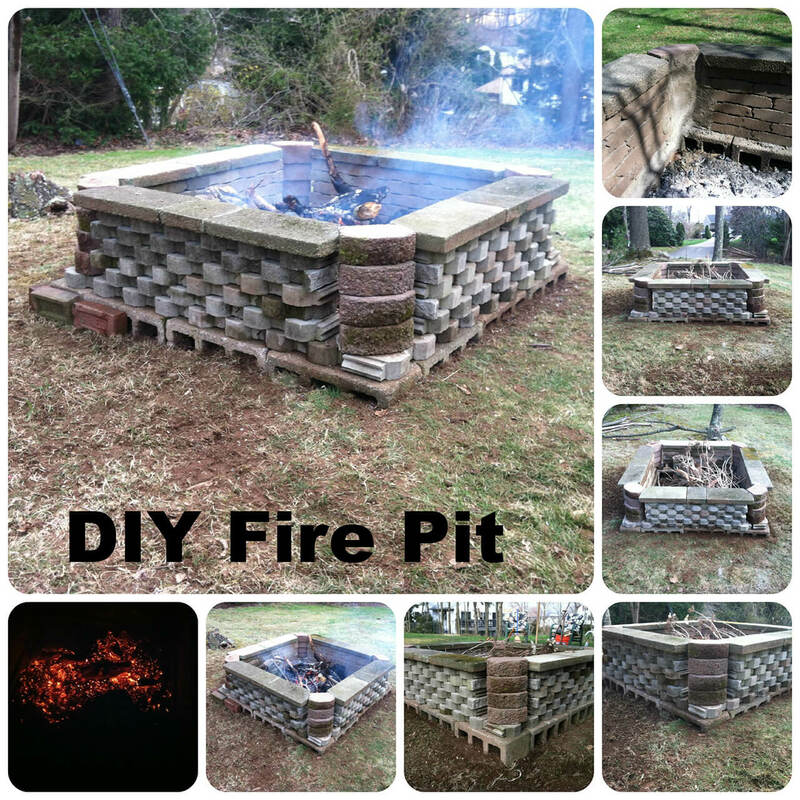 One of the simplest ways is to make a fire pit is using bricks. You can place them to make whatever shape you like, and then fill up the inside with stones. Don’t forget to place a barbeque grill on top, and of course, make sure your grill is big enough to not fall inside. 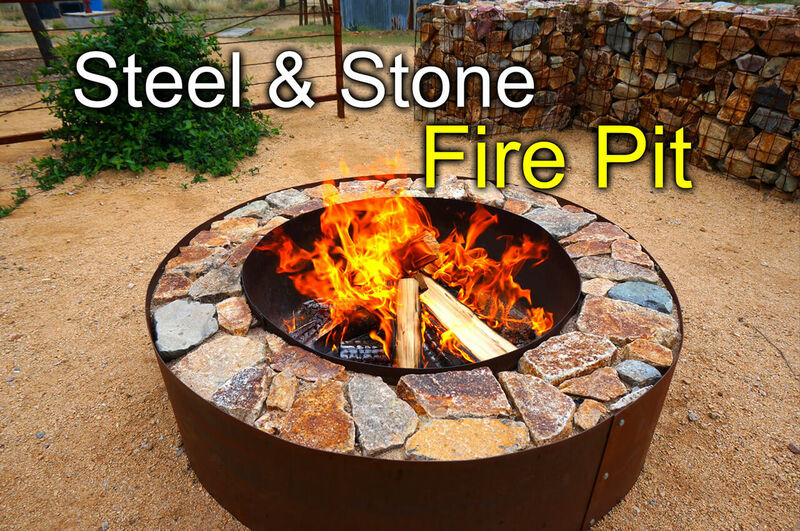 Steel is another material that you can use to make a fire pit. Using steel sheets, you can quickly create two structures, one slightly bigger than the other for the outer rim. Fill up the part in between the two using big slabs of stone to give it a better structure. 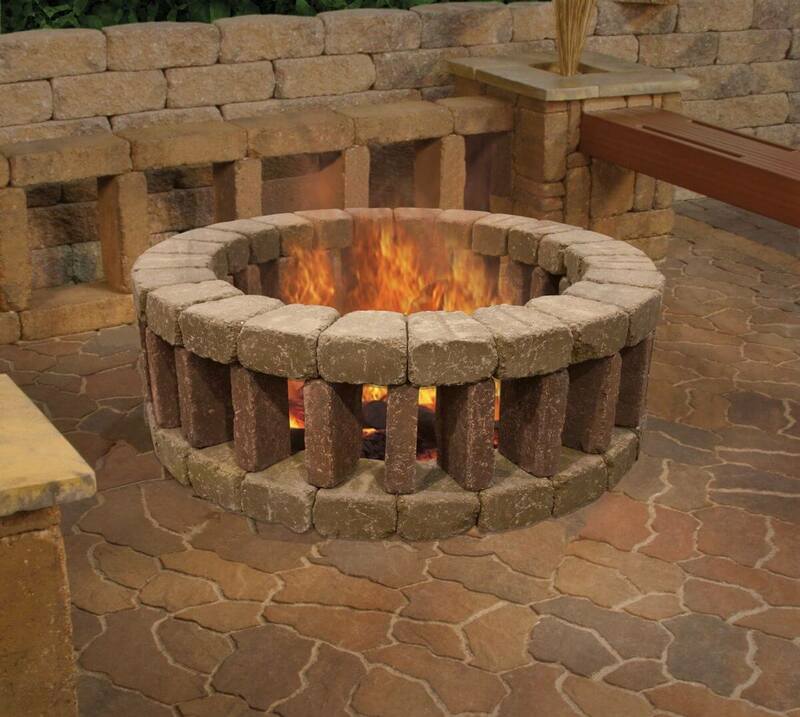 Cinder bricks are also a great material to use to make a fire pit. Neatly stacking them on top of each other and making a square structure out of it makes for a neat looking firepit!